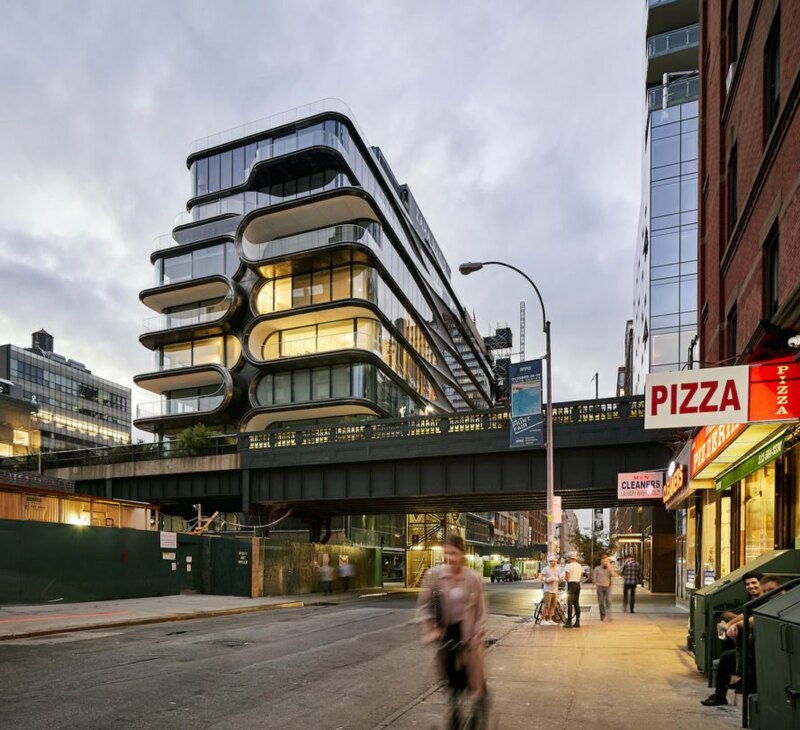 Photographers Hufton+Crow have captured new images of 520 West 28th, the Zaha Hadid-designed luxury condos that loom large over New York City’s High Line Park. 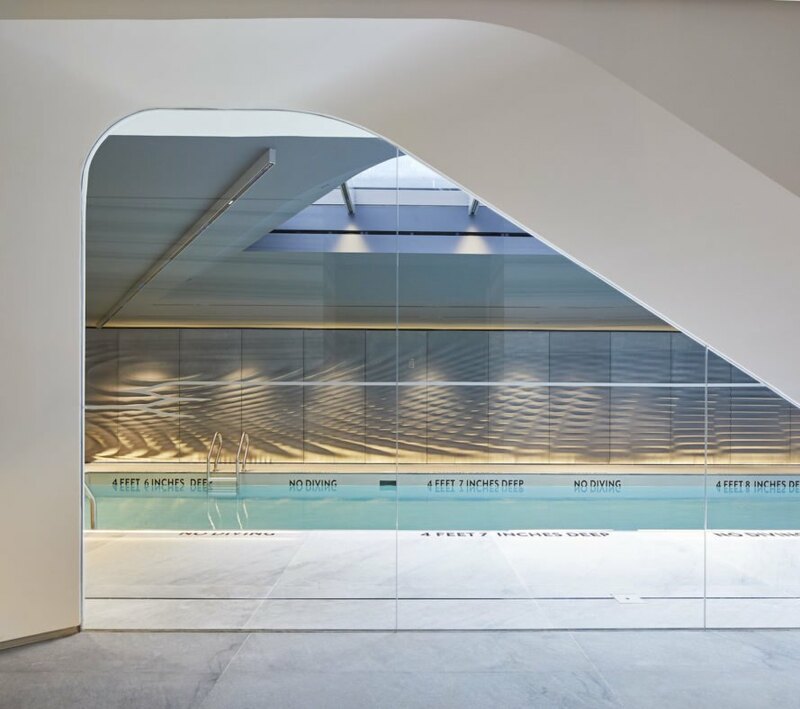 Completed last year, the LEED-seeking curvaceous building is a stunning sculptural triumph that’s equally impressive indoors with its wealth of high-tech amenities. 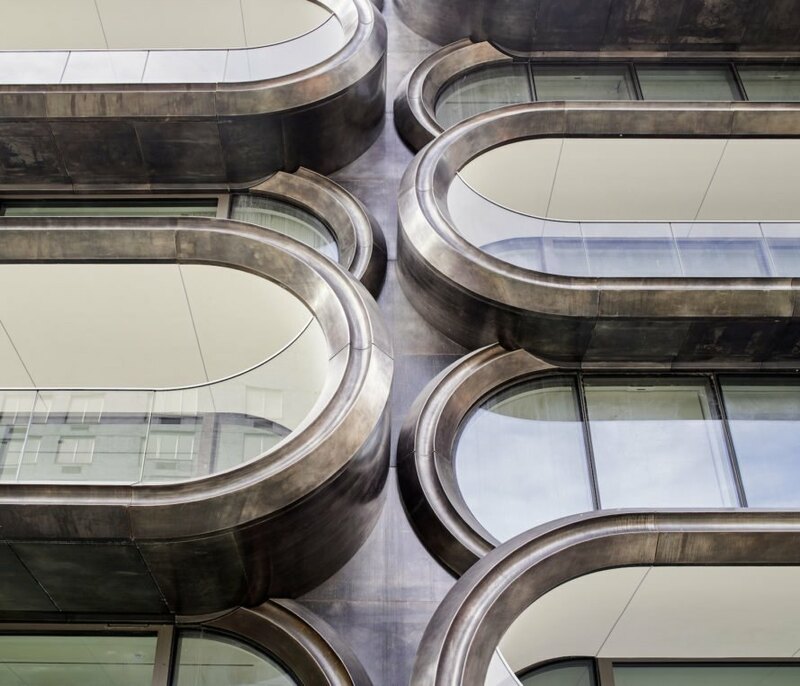 The building’s expressive steel facade has an undeniably futuristic feel, yet its handcrafted elements pay homage to Chelsea’s industrial past. 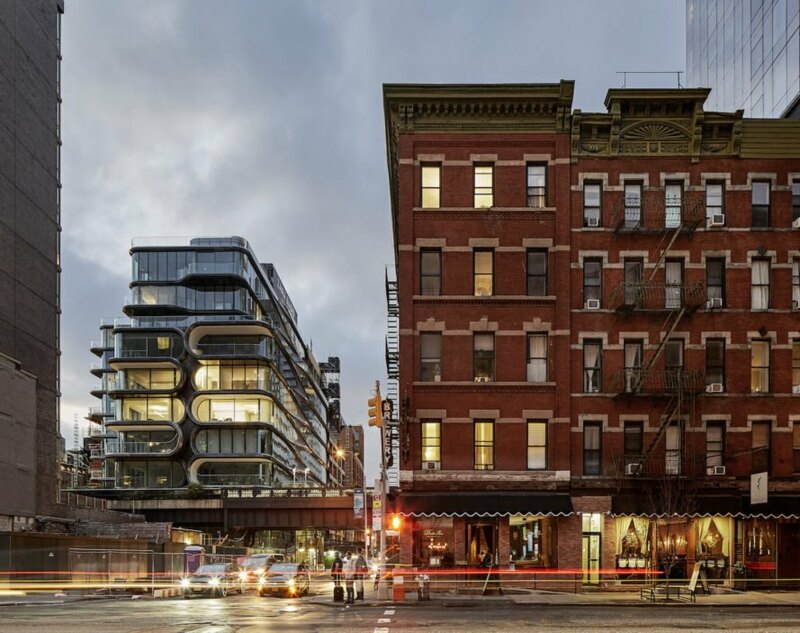 Located in a community home to over 350 art galleries, 520 West 28th boasts a sculptural facade complementing the public art punctuating the High Line. The sinuous facade comprises 900 pieces of hand-rubbed steel woven like a continuous chevron ribbon between panoramic curved glazing. For a greater industrial feel, the steel pieces were brushed and tinted by hand for a blackened finish. The 11-story building houses 39 units with split levels that, according to the architects, “define varied living spaces and echoes the multiple layers of civic space on 28th Street and the High Line.” All residences feature 11-foot-tall coffered ceilings and sumptuous interiors fitted with Boffi kitchens by Zaha Hadid Design as well as a slew of high-tech perks from automated valet parking to mechanized storage. Many residences even boast a private elevator lobby and all residents have access to a wellness level with spa and 25-yard sky-lit lap pool, sculpture garden, and entertainment suite with an IMAX theater. 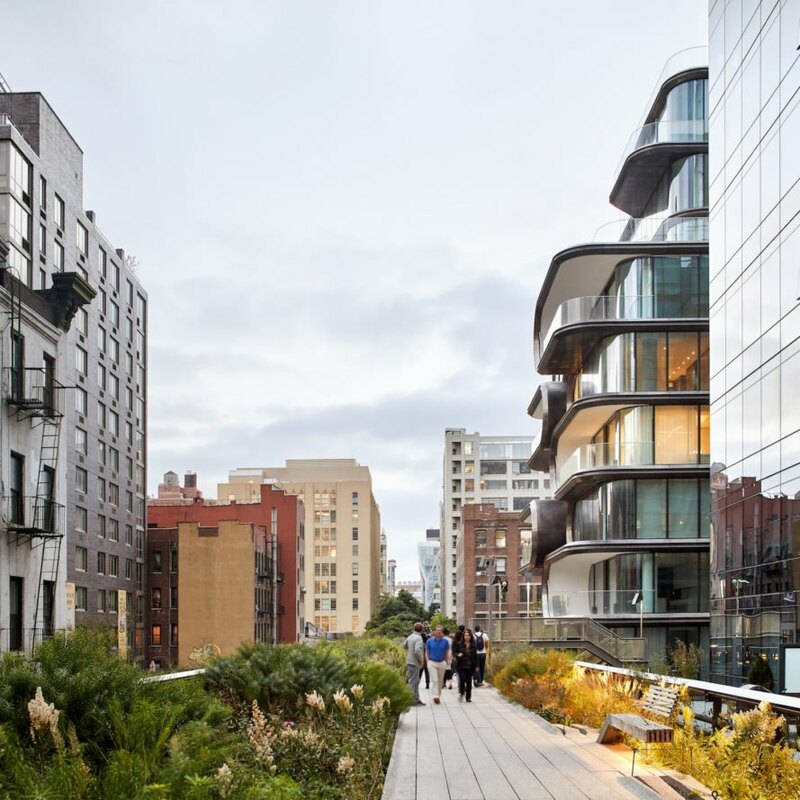 Located in a community home to over 350 art galleries, 520 West 28th boasts a sculptural facade complementing the public art punctuating the High Line. 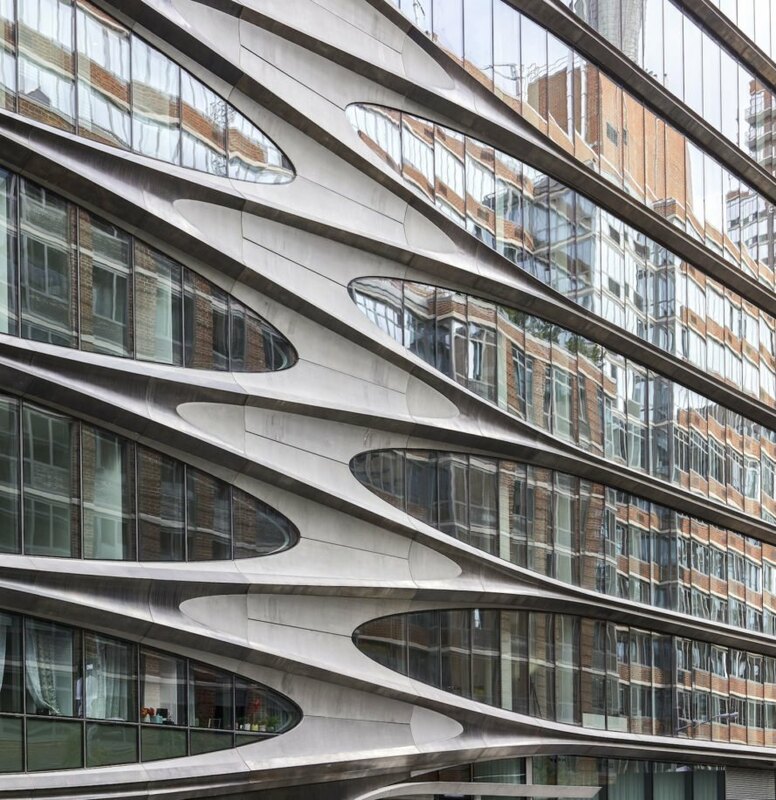 The sinuous facade comprises 900 pieces of hand-rubbed steel woven like a continuous chevron ribbon between panoramic curved glazing. For a greater industrial feel, the steel pieces were brushed and tinted by hand for a blackened finish. 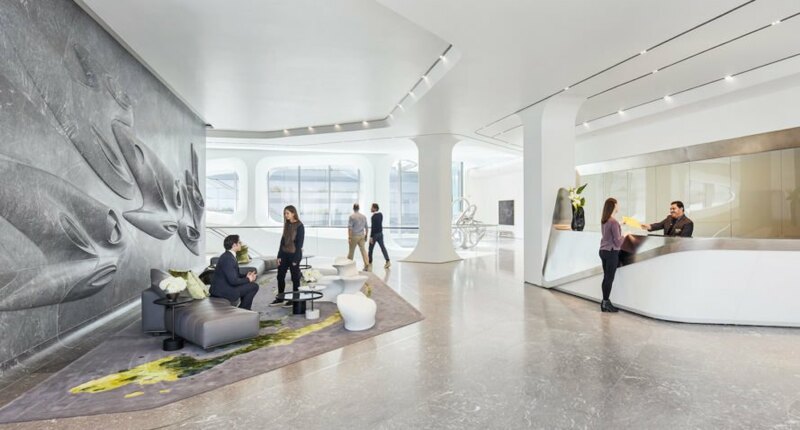 All residences feature 11-foot-tall coffered ceilings and sumptuous interiors fitted with Boffi kitchens by Zaha Hadid Design as well as a slew of high-tech perks from automated valet parking to mechanized storage. Many residences even boast a private elevator lobby and all residents have access to a wellness level with spa and 25-yard sky-lit lap pool, sculpture garden, and entertainment suite with an IMAX theater.